The five-minute video showing the plans to build a futuristic city inside Manila left many Filipino netizens in awe. 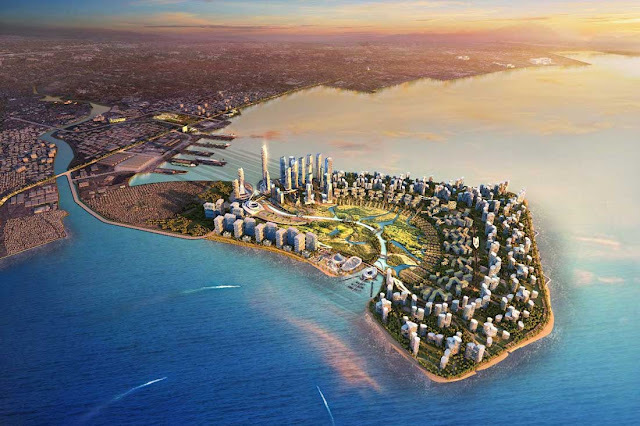 It is said that the New Manila Bay-City of Pearl would be the most advanced of its kind once completed. A smart and sustainable city anchored on artificial intelligence and other cutting-edge technologies. In QII 2017, the concept of the project was revealed by HPA Designs an urban development firm based in Hong Kong. The construction of the city began in QIV 2017 after initial reclamation of land was set. It was designed to be a shell-shaped smart city and will be the most advanced in the whole South East Asian upon completion. It was expected to be completed between 2034-2035. It would provide an entertainment hub that would include shopping malls, stadiums, world-class convention centers, and casinos. Many people were skeptical about the People's Republic of China's involvement in this project. Nonetheless, the city is expected to provide jobs to hundreds of thousands of Filipinos.